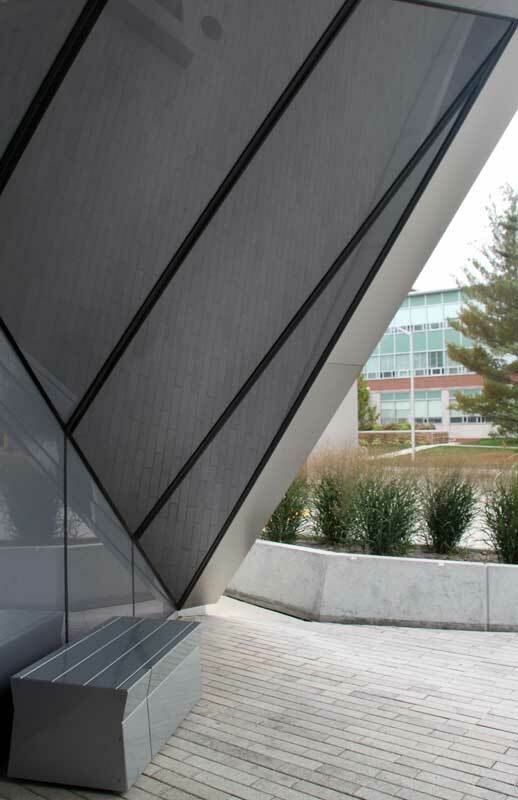 Located at the northern edge of the Michigan State University campus, this site is one of the main entrances to campus at the corner of Grand River Avenue and Farm Lane. 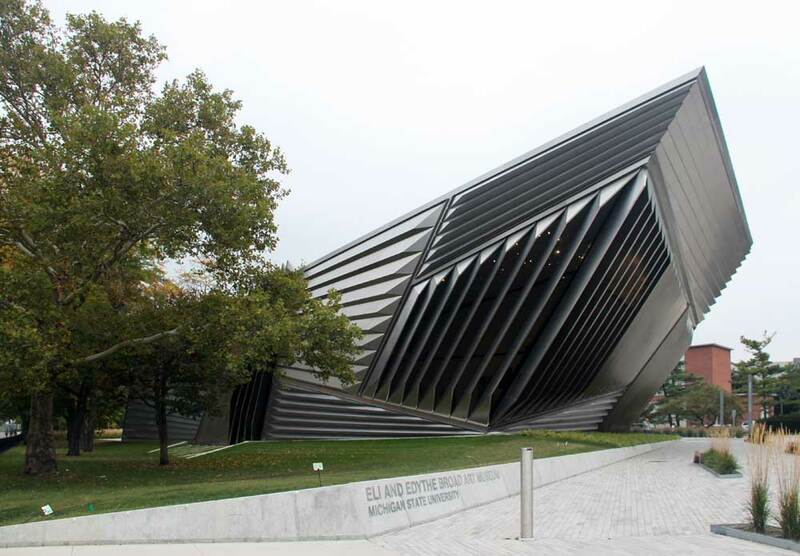 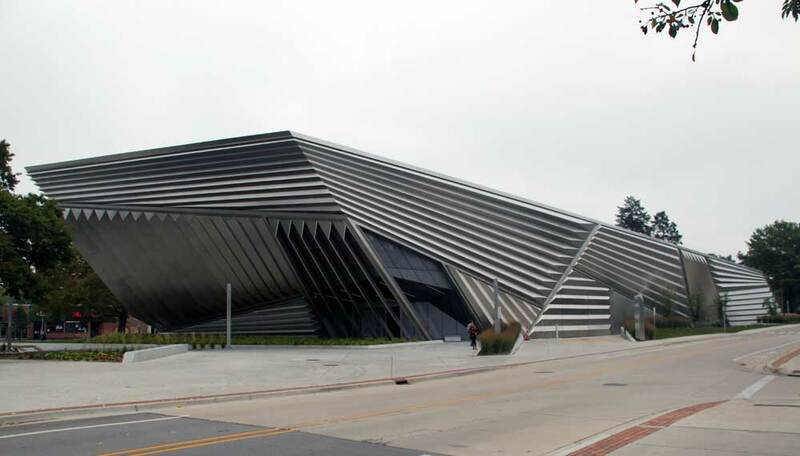 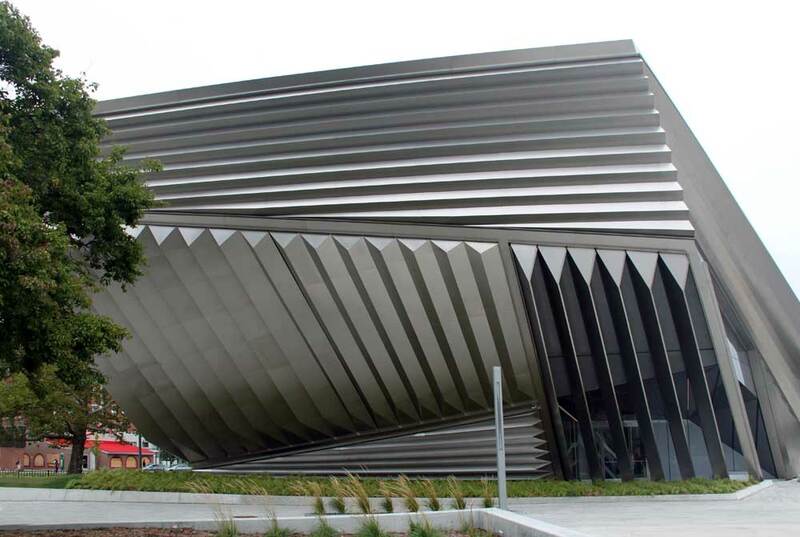 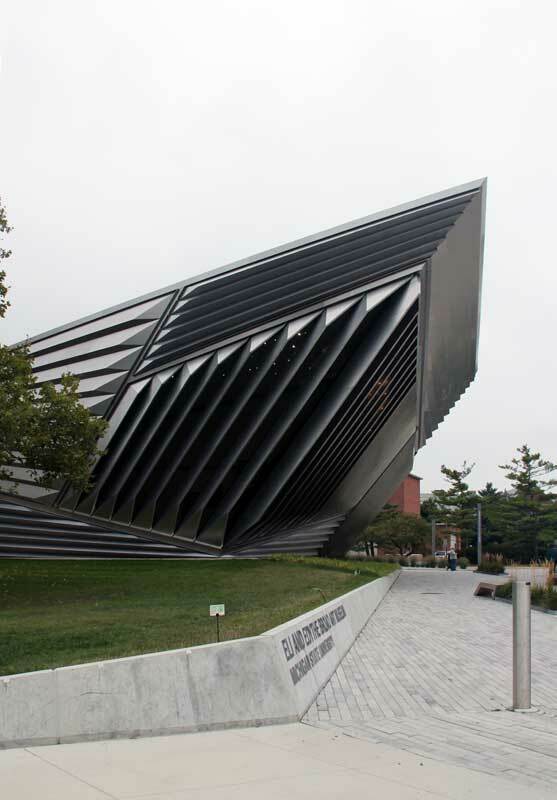 The location was chosen so that the Broad Art Museum would serve as a gateway between the university and the East Lansing community or as an interface between city and campus. 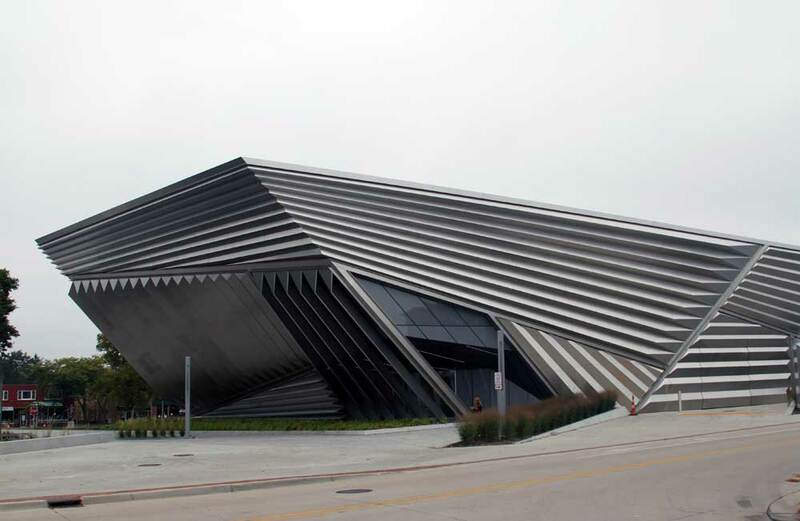 The design of the museum was a competition with the five finalists being Zaha Hadid (London), Coop Himmelb(l)au (Vienna), Morphosis (Santa Monica, California), Kohn Pedersen Fox Associates (New York), and Randall Stout Architects, Inc. (Los Angeles). 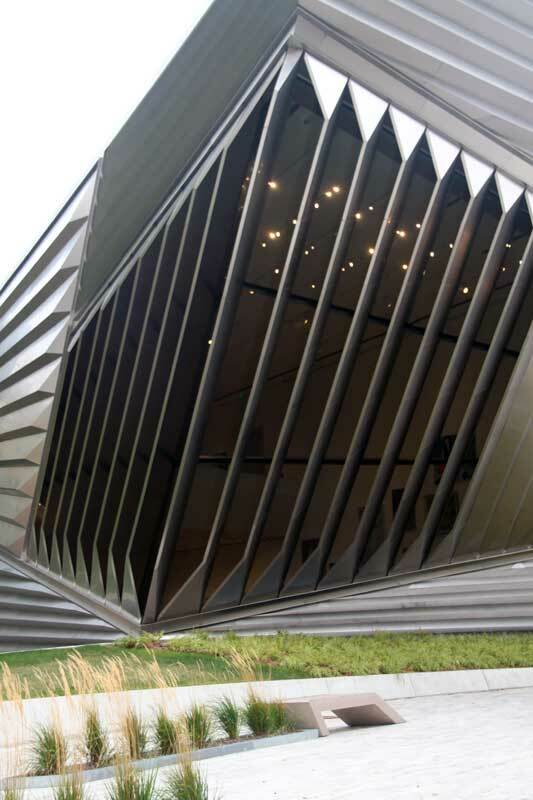 Hadid is also known for another museum in the United States, the Contemporary Arts Center in Cincinnati, Ohio. 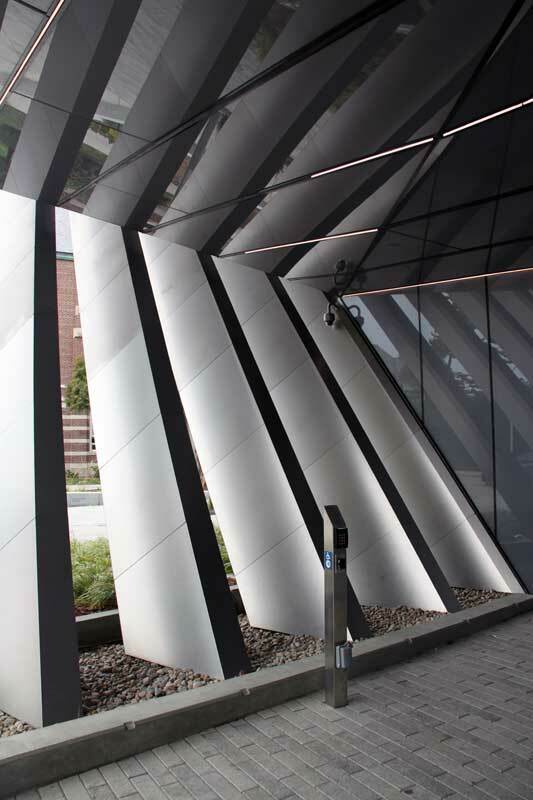 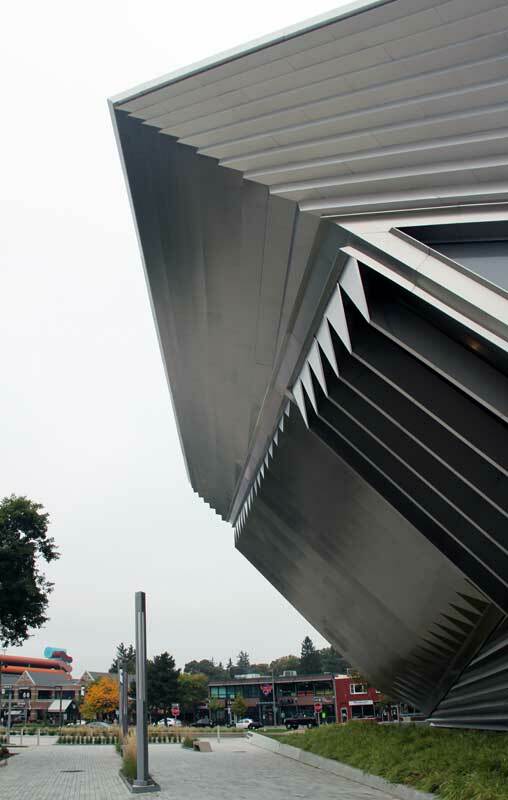 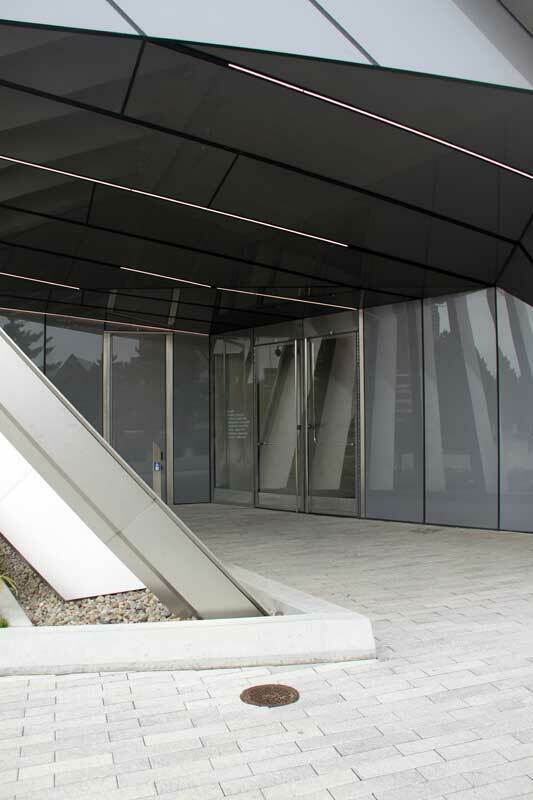 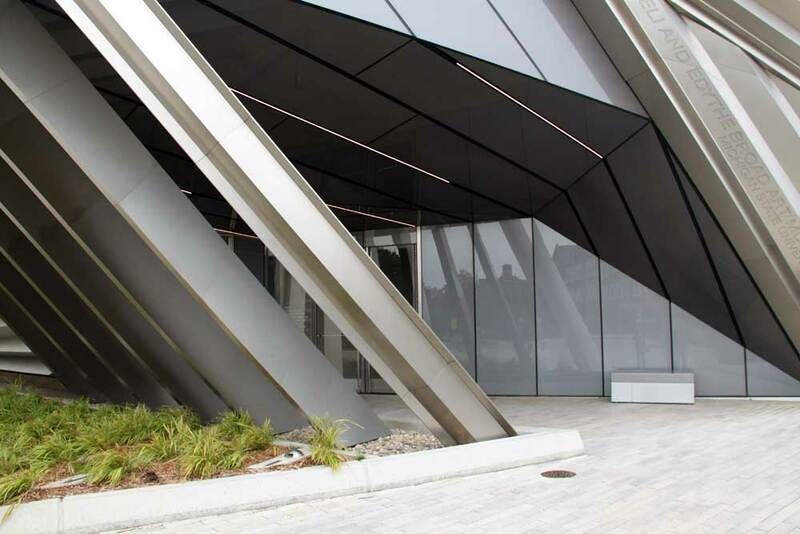 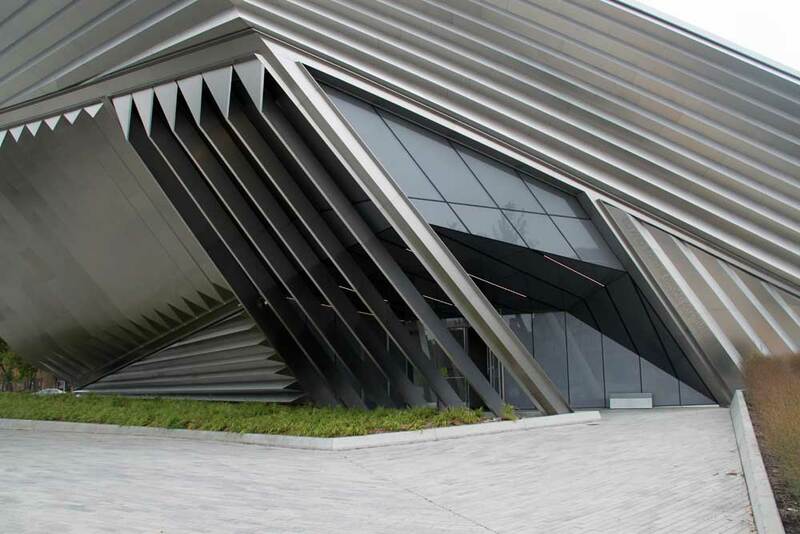 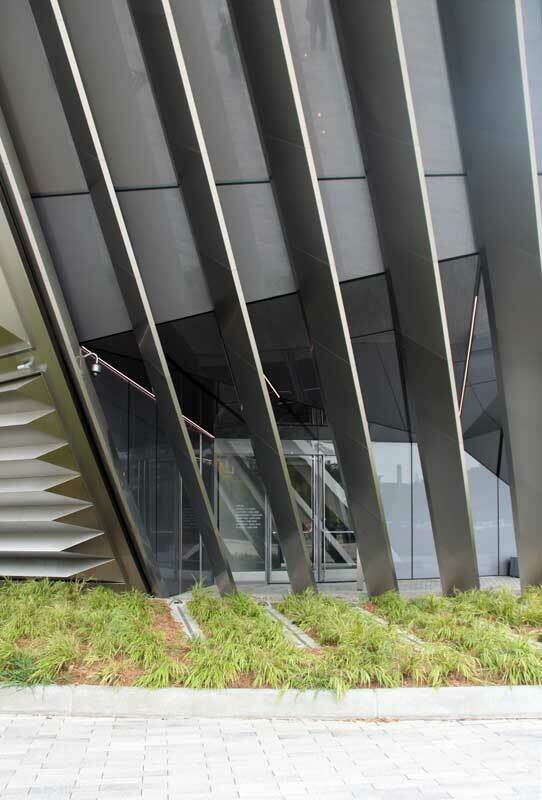 Dynamic angles are meant to signal the museum and the university's dynamic vision. 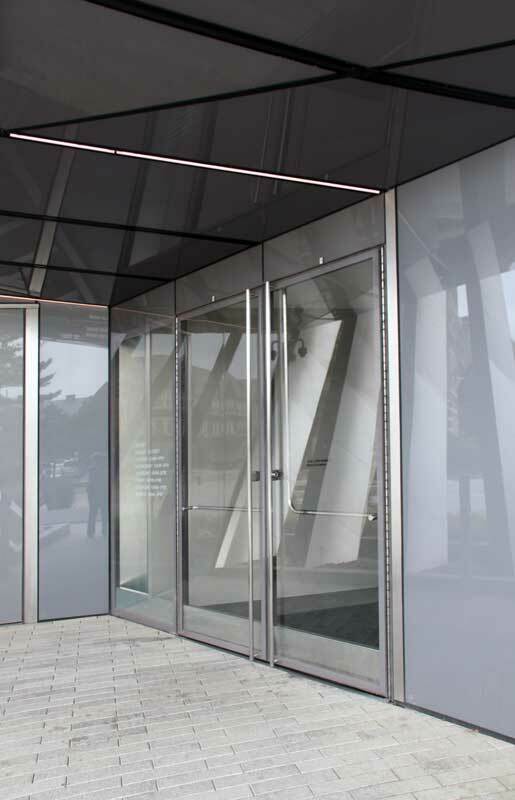 A monumental and dramatic entrance is on the east side.